Hi everyone, I hope you have had a great time over the festive season? Unfortunately for me in Chez Sadler, the Xmas period and week after has been rather poorly. In fact so poorly that I have actually lost quite a few pounds in weight and have really pissed off Mrs S with the sounds of gargling green mucus! At one point I actually asked on Facebook for a volunteer to shoot me because I had developed a severe viraemia associated with meningism. It was very nice to hear from fellow puzzlers (and local colleagues) with lots of useful and creative ways to end my suffering and a number of them kindly volunteered to take my puzzle collection/burden off my hands! Mrs S was so upset with me that she went shopping on the old internet and the Mulberry sale received some more of my income - I was too sick to put up a fight! Now does anyone want any green ectoplasm? I have lots to spare even after a week! And now I'm really in the bad books......she has got it too. We now have stereo mucus and bilateral coughing fits! Aaargh! It's been 9 days and it's still not gone - this is truly a plague! 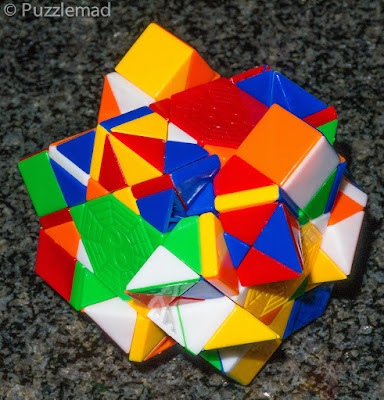 For the last few years, on New Year's Day (or thereabouts) I have posted my top puzzles of the previous year. I have always made these the top puzzles that I have actually solved that year which is different to the collection of ratings by my friend Peter Hajek, who for his "End of Year Puzzle Party" in London collects the top 3 from many eminent puzzlers around the world and collates them into an e-book. I sent my selection off to him just before Christmas and that started me thinking about what I should do for New Years day. I think I will align with him and put up my top 10(ish) puzzle acquisitions of the year rather than solves. My rationale for this is that there are many tremendous puzzles that I acquire that are of such complexity that they can take months and months to solve (in fact some I have never managed to solve) which may mean that they never get highlighted in my years end post. To ensure fairness, there may be the odd puzzle that I acquired in 2015 but only solved in 2016 but this should be the last time that will be necessary. At one of this years MPPs I was chatting with Big Steve (who's much bigger than wee Steve and both are bigger than me!) and was admiring some of his 3D printed output including some Coffin reproductions. He showed off the 12 piece separation by handing me a bag of pieces. Needless to say, I couldn't assemble the damn thing at the MPP but was very pleased that he also couldn't assemble it! That makes him a man after my very own heart! His generosity was such that he let me take it home with me whereupon I spent several days trying with little success to make an interesting shape, any interesting shape would have done as long as it stayed together! In the end I had to resort to the internet to at least find out what it was supposed to look like and then began to work on it properly. In the end Jim Storer provided the solution. After that I proceeded to learn it by my usual repeated assembly and disassembly. It is a fantastic design and Steve's skill with a 3D printer and acetone vapour has made a wonderful addition to my collection. Almost in my top 10 but something just pipped it out! 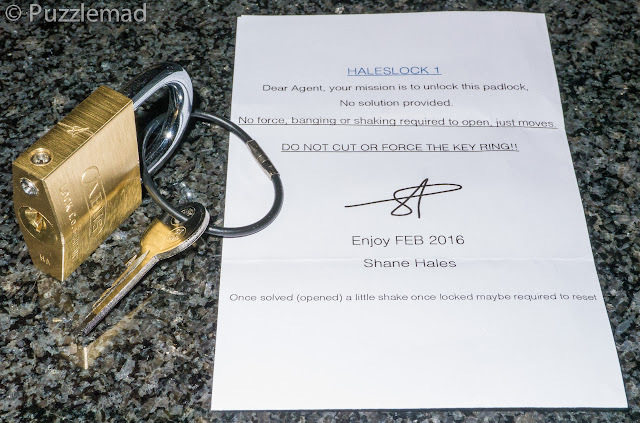 Shane's Lock is a brilliant design - I am proud to be agent 001! I consider Shane to be one of my best puzzle friends. There is no favour he could ask that I wouldn't move heaven and earth to try and fulfil. He has provided me over the years with many many hours of fun with his designs and also kept me entertained when we carry out dual solves of Wil Stribos' fabulous discovery designs. I was delighted when he sent me his Haleslock 1 (as well as number 2 later in the year) and duly set to work on it. 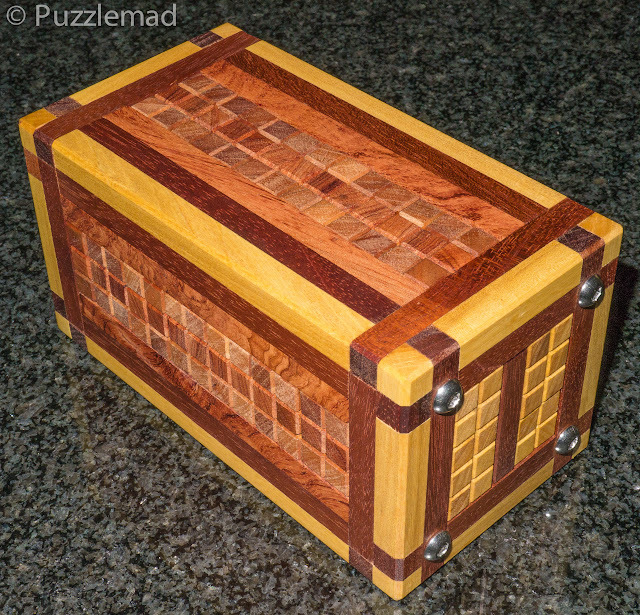 The workmanship in metal is just as good as his skills in wood and this was a very nice little challenge. Shane would be the first to agree that it is not in the same league as the masterpieces from Rainer Popp (I still haven't solved my Popplock T10 which is sitting next to me on my desk and taunting me) but his aim is not to compete in that arena. The Haleslock 1 is a masterpiece in lock tampering (not lock design) and took me quite a while to work my way through the several steps. Thanks mate - I can't wait to see what you have instore for us all in 2017! No top 10 of my puzzle collecting year could possibly be complete without a contribution from the amazing Stephan Baumegger. Maahes was another of those collaborations with Terry Smart and proved to be a really fun excursion into the burr world. I am not particularly good at high level burrs and tend to stick to puzzles in this group with either a special attribute that makes them interesting or puzzles in the category without too many blind ends and a medium solution level (30s-40s). Maahes is just perfect with level 15.2.4.1.2.1.1.2 and a brilliant shape. Some of the moves were truly difficult to find but really great fun. This one was actually grabbed by Mrs S and put on display in our living room! She is a crazy cat lady and this is perfect for her (even if she will never try to solve it). After just a couple of turns - Gulp! Peter added a category to his list this year, a mass produced puzzle. This was very easy to decide. 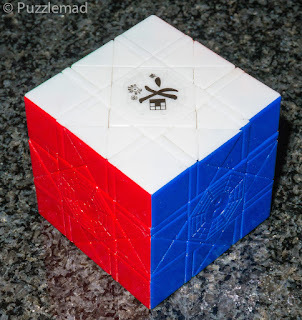 MF8 have outdone themselves to produce one of the most fun twisty puzzles in several years, The Bagua cube. 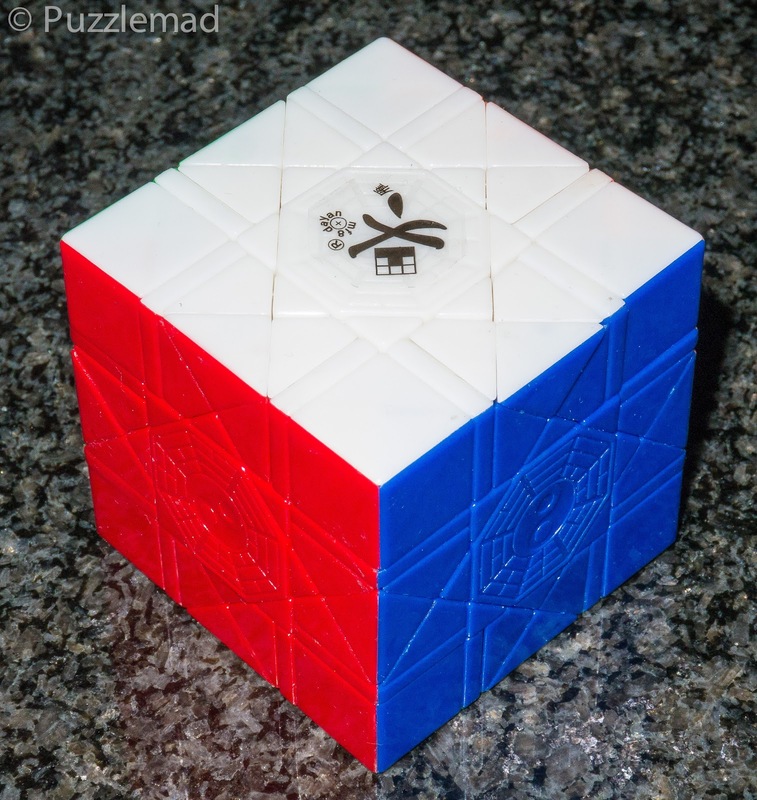 This is based on a 3x3 Rubik cube but has the ability to make 45º face turns and split the centres and edges into smaller pieces. The puzzle looks horrific when scrambled but relies on mostly intuition to solve it and 3x3 methods. It's brilliant! I must have spent nearly a month working on this almost to the exclusion of all else - it completely took over my life and was not just the best mass produced puzzle of the year but earns a very well deserved place in my top puzzles of 2016. Simply stunning - I cannot wait to see what the twisty designers and manufacturers do next in 2017. 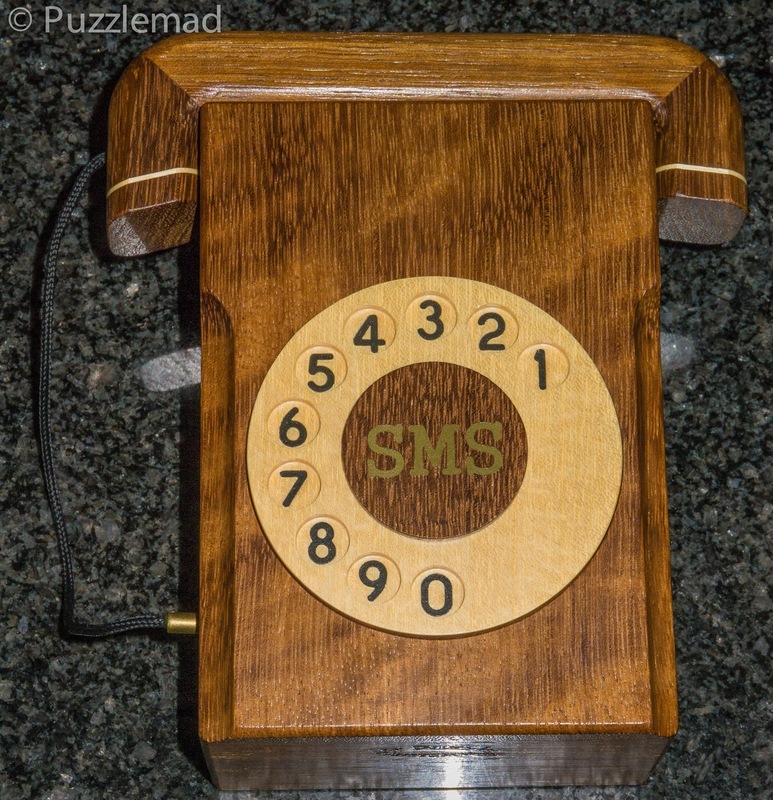 We truly live in a golden age of puzzling! 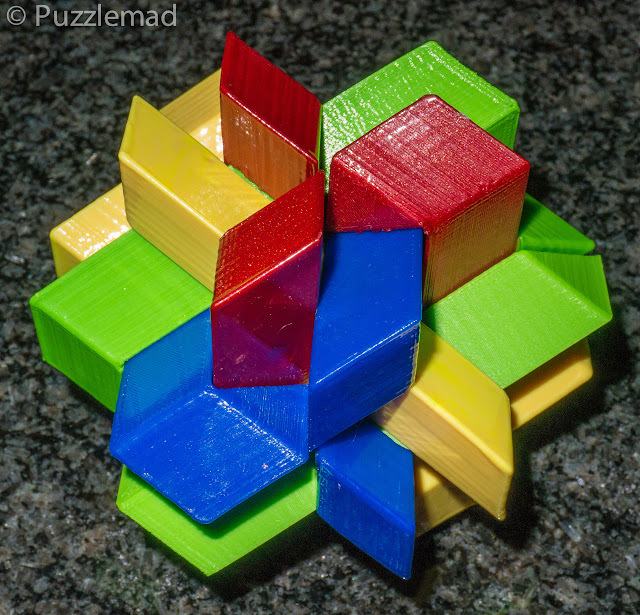 Eric Fuller's work is always stunning and he has an uncanny way of choosing some of the most enjoyable puzzles to solve without them being too complex. The NOS (New Old School) series were designed by Gregory Benedetti and made to look outwardly simple but because of the use of amazing coordinate motion movements, they become objects of wonder. In fact one of these was so good that I made a YouTube video showing it off. 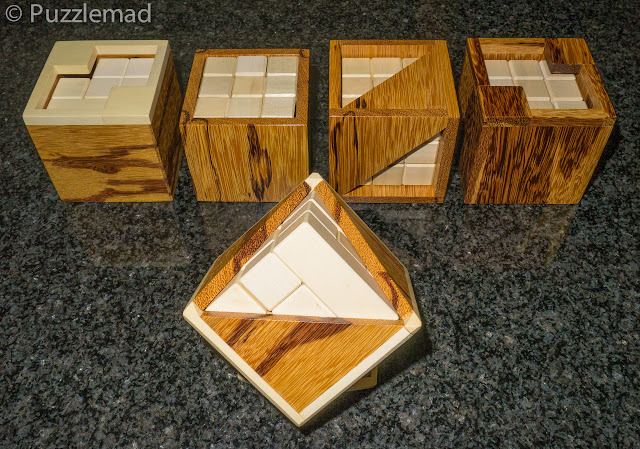 The 4 NOS puzzles are marvels of woodworkers and designers skill and are just so different from everything else that I did say they were a possibly a new category of their own. There are more in the series which Eric did not think would be possible in wood but he's now hoping to make them in 2017 - they will not be cheap but I still intend to buy them because they will be amazing. 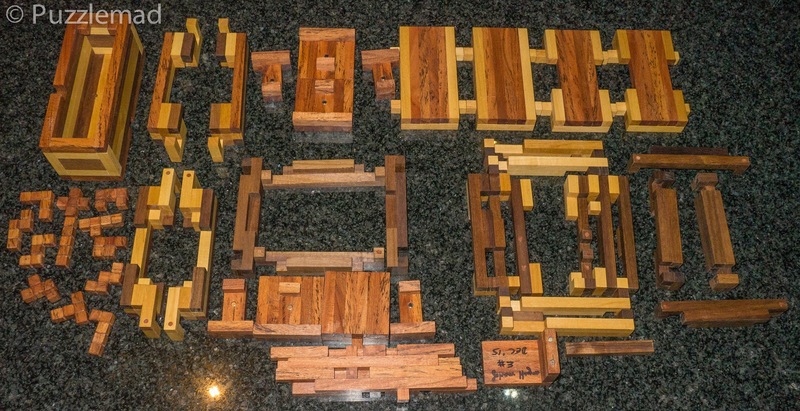 Most years Brian Young produces a stunning limited edition puzzle that has reached my top 10 because of sheer genius, sheer beauty and because they are totally unique. 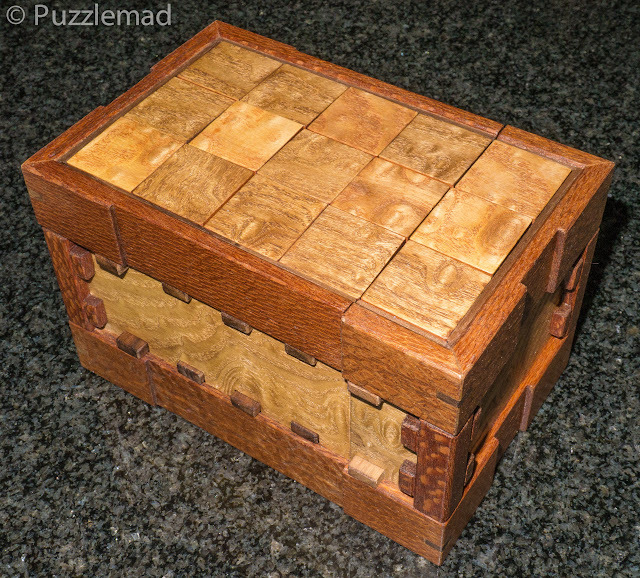 I reviewed this puzzle in November having owned it for 4 months. 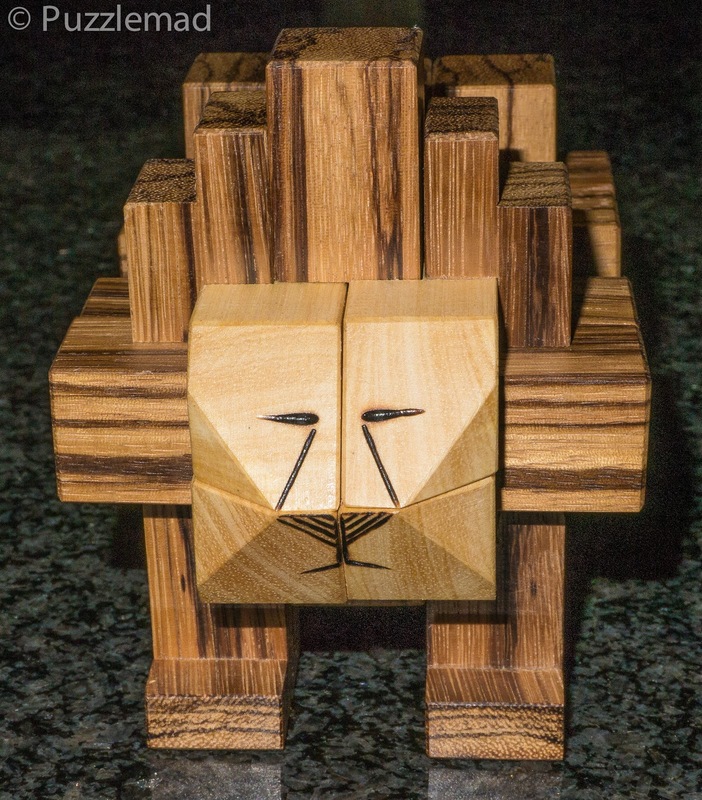 I had hesitated to buy for just a microsecond because this was a VERY expensive puzzle but as with all of Brian's creations I haven't regretted it for an instant because it is simply stupendous. The release number was up to 130 this time (I got my usual number 28) and hence they are still available here if you would want one. I have had to list this as far down my list as number 6 for the simple reason that I am simply deficient! The incredible complexity of this puzzle coupled with my lack of brains meant that I was stuck on the second step for many months. I just could not work it out myself and needed a definite clue from Brian before I could proceed. After that I whizzed through another 2 steps before hitting another brick wall in my head and needing further help. It is probably the most complex designs ever made and if I was more clever then it would be higher up my list. I cannot wait for the next LE puzzle! This is a bit of a cheat because one of this series was released and solved the year before but as a series they are truly incredible. 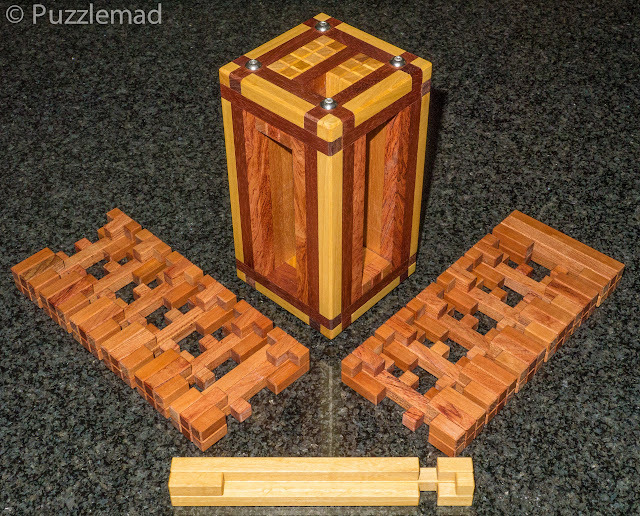 I am not usually good at packing puzzles and generally don't collect them. However, this bunch are very different and require some real thought rather than trial and error despite being just 3x3 cubes in a box. They also have the added twist of requiring rotations of one or more pieces during the solution to add to the complexity. 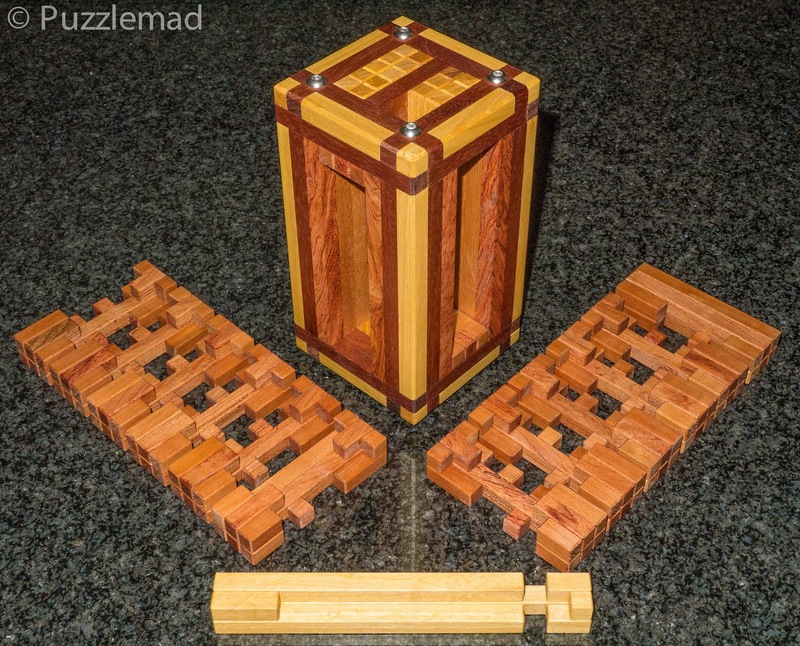 Brian completely outdid himself in the workmanship here - my particular set is made from Marblewood and Holly and looks absolutely wonderful on display. Thank you the pair of you for some wonderful additions to my collection. My previous reviews were here, here and here. 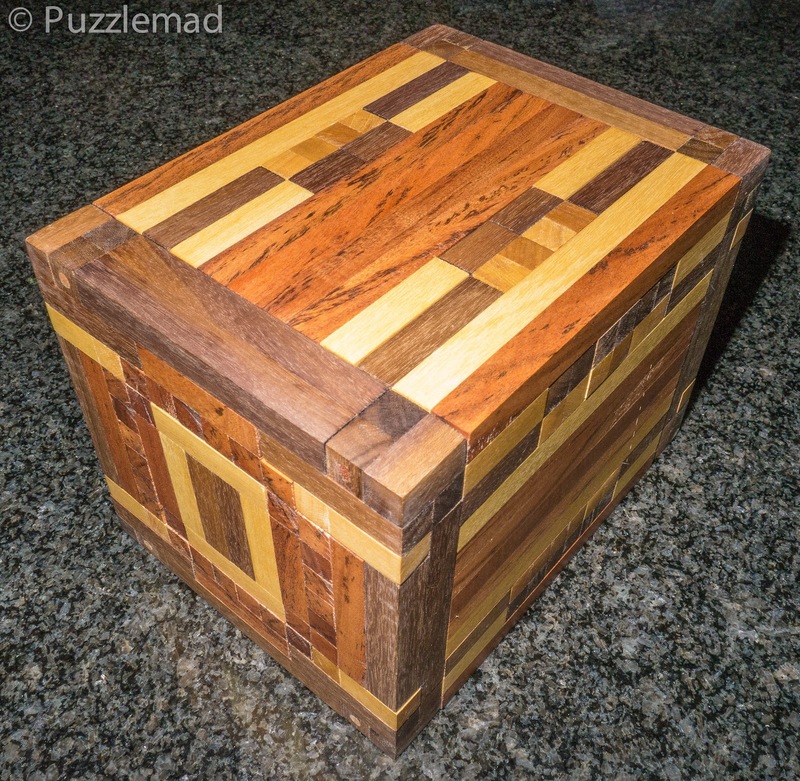 All the pieces - there's even a fun (and rather tough)packing puzzle inside! I'm going to cheat here and put two separate creations together in one slot. My good friend Johan Heyns has been making fabulous puzzles for many years and last year he made it into the top 10 with his version of the Really Bent Board Burr designed by the genius that is Derek Bosch. In 2016 he turned to making puzzles as his full time job and has produced some simply amazing creations. He started with the Wish cube. It was the culmination of much work by himself and finally with the aid of Jack Krijnen and finished off what was originally supposed to be his contribution to the fabulous Apothecary chest. This was a simply stunning creation and in many years would be at the number 1 spot but I just have too many brilliant puzzles this year. 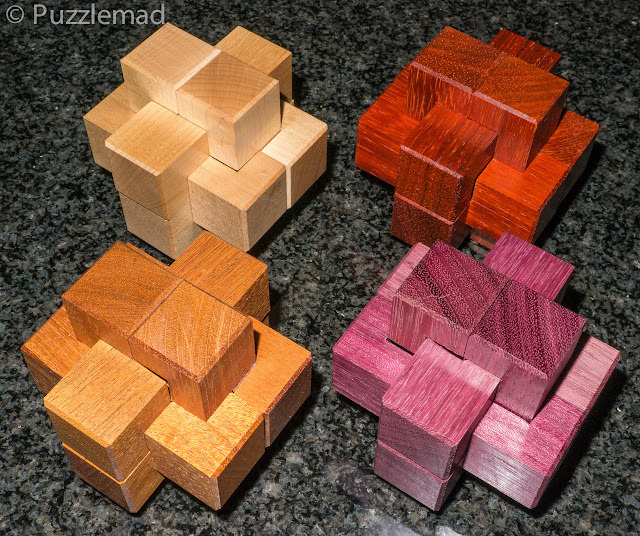 Later that year Johan made available an N-ary puzzle that was stunning in design as well as in his implementation. 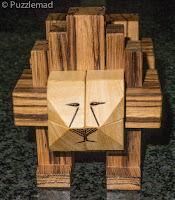 He used local South African woods as always and using his own unique woodworking techniques he made a beautiful burr in a block with an N-ary solution and a rather unique reset mechanism. The original design was by the amazing Stéphane Chomine and Johan made an amazing version. At 5461 moves to take out the first piece and with me being not terribly bright and getting turned around several times, this puzzle took me over a week to solve and left me with a wonderful sense of relief and admiration at the same time. 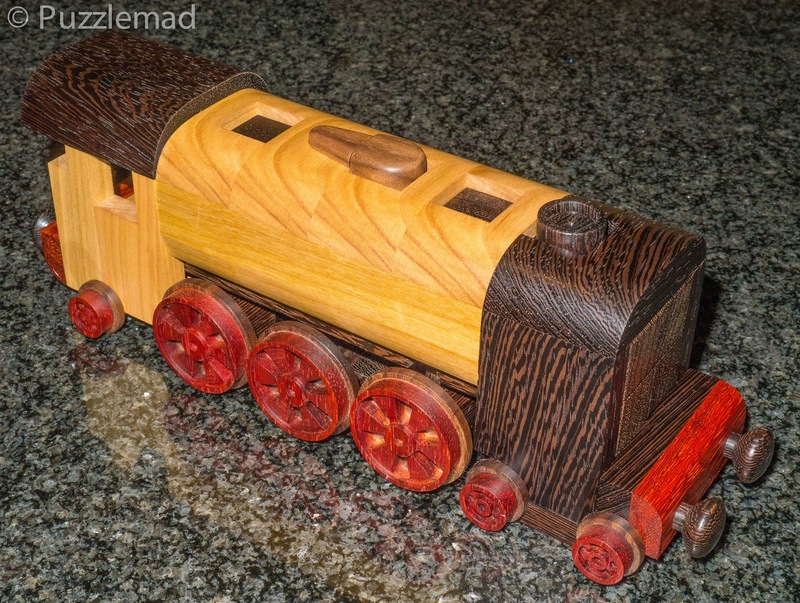 Johan is still trying to make woodwork his main job and has set up a wonderful website at intellectualcraft.co.za to sell his creations - he also is making incredible turned wooden pens. You will never be disappointed in anything you buy from him - please go there and spend! I certainly plan to do so in 2017! Probably the most stunning burr I have ever seen! Number 3 is probably the most beautiful puzzle I have seen in a long time, the Flying Scotsman Burr. Jakub and Jaroslav's New Pelikan Workshop have gone from strength to strength producing stunning puzzles that are just the right difficulty to be fun to solve as well as display in a collection. The first copy of the Flying Scotsman was made by my friend Stephan Baumegger but Stephan doesn't have the setup to mass-produce many complex puzzles and so Terry approached Jakub to see whether it could be made more generally available. They have produced something absolutely gorgeous here, only 50 have been made and I am delighted to be one of the lucky ones to have gotten a copy. 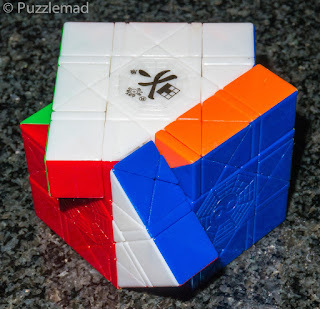 It is just stunning and I hope to solve it soon. It is still available from their store here. 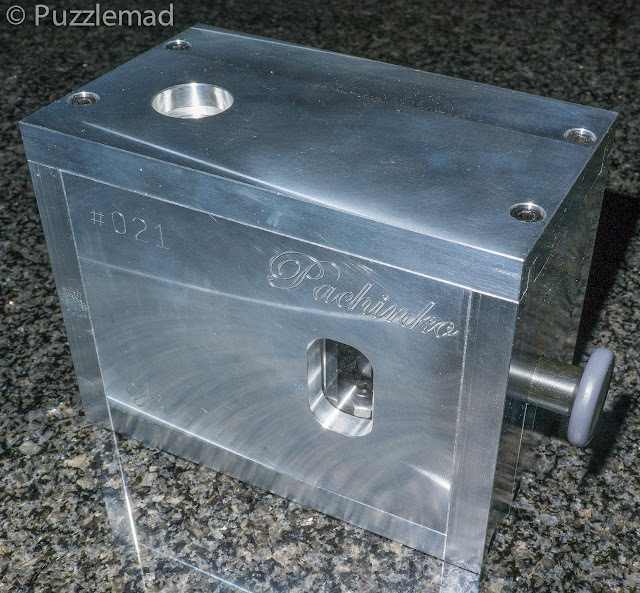 Number 2 for me has to be a sequential discovery puzzle which I bought from the amazing Wil Strijbos, the Pachinko box. This beautifully machined creation consists of 4 challenges which require lateral thought, dexterity and a bit of blind maze negotiation. Wil never disappoints and every year one of his puzzles manages to reach my top 10. 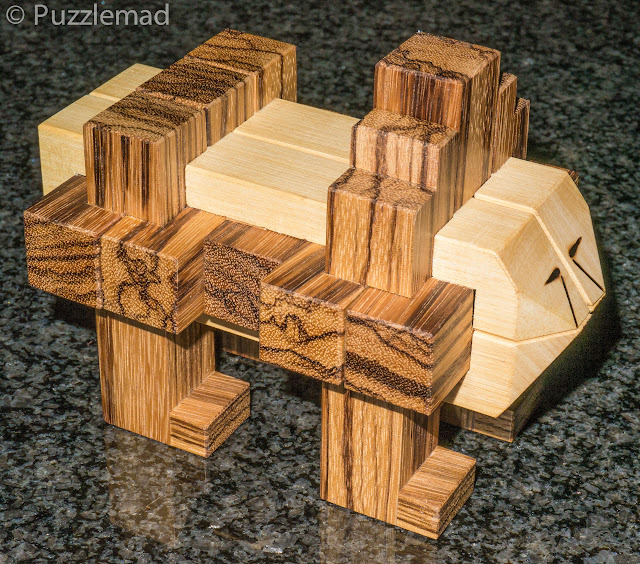 I have also had a lot of fun providing support to other puzzlers around the world who are stuck on it. Just look at the sheer beauty and complexity! Stunning! Get well soon Sadler family! Shame you are not a box-man Kevin, the Hajek-Dvorak How? box was one of my favourites this year. Any tips on how I might obtain one of Shane's locks would also be gratefully received! Thanks for your well wishes. We are still sick as dogs! We've barely been out in a week and are actually running out of food that's not sweets! Too sick to go to the supermarket. I have played with and solved the How? box which was fab. But I decided to leave it for the real box collectors out there. As for Shane's locks.....they sell very fast. You need to be on either his email list or more likely on Wil Strijbos' list. Even then you need to be quick to reply to the offer. Good luck and happy New Year. 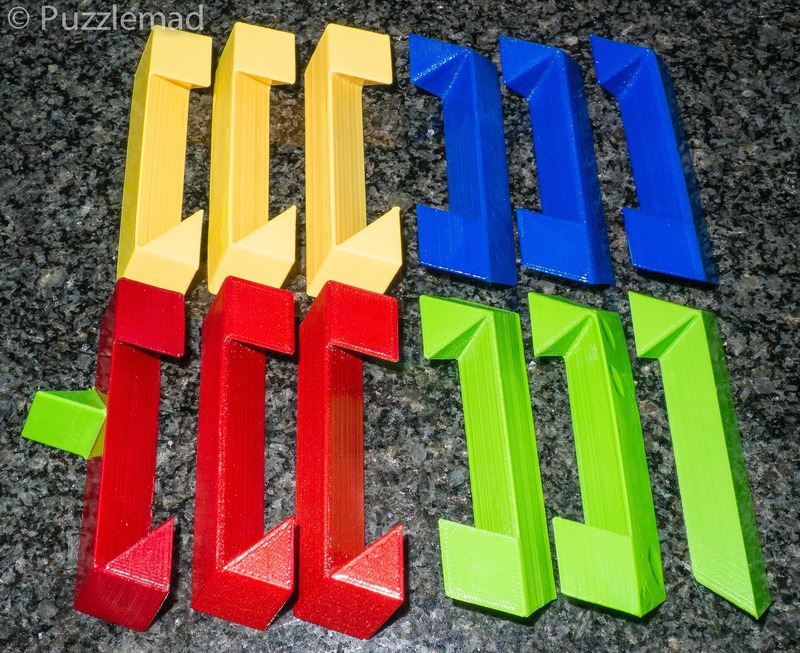 What a beautiful set of puzzles and that's just the top 10! 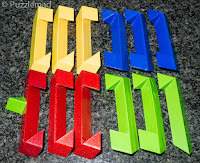 The trouble with these puzzles is that they are far too difficult and way out of my league, but I love them! I think I'll have to stick with twisties though, my bank balance and my marriage couldn't take another puzzling addiction!! Hope you are feeling better Kevin. Thanks for your well wishes! I dragged myself into work today and now wish I hadn't because I feel ghastly - but I dare say the patients will be pleased they weren't cancelled. As for the puzzles - if you can solve twisties then you are more than a match for burrs and interlocking puzzles. Most general puzzlers won't attempt twisties so you should be absolutely fine. The wife issue is a tough one but EVERY man needs a hobby! If you're ever in the vicinity then pop by for a play.